This is a new periodic blog by Kenny Jackson, currently a graduate student at the Boston Architectural College. 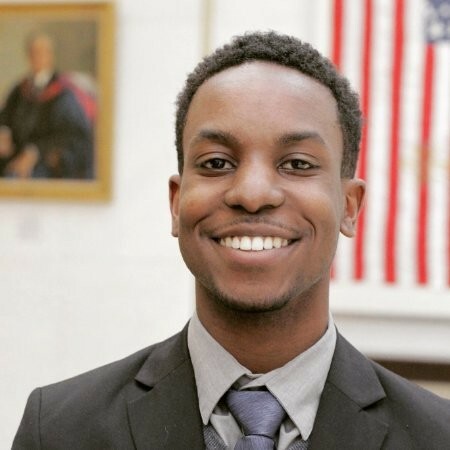 In this series, he’ll describe his decision to pursue his degree to become an urban planner (a departure from his original path to law and politics). Hello! My name is Kenneth “Kenny” Jackson and I hail from the University of Kansas in the blue dot of Lawrence, KS. I can tell you now, that my first impression of Lawrence was that it the people were amenities to the university, in the fact that they are welcoming, diverse, and embrace intellectual exploration. It was not until I first struggled in my Political Science courses that I was able to better understand those same values should translate to hard work. Initially, I was unsure of what I wanted to do with a liberal arts degree. In the midst studying Politics, and other social sciences, I found myself wanting to attend law school. It seemed like the logical (silly pun) thing to do. Many skills of being a political science major translate to law school. Alas, I realized I did not have to attend law school to be politically active nor did I need a JD (although it would help) to work in politics. As my undergraduate days ended, I felt empty and unfulfilled. I didn’t feel as though the next chapter would catapult me into government, at a local, state, or federal level. I assume many students feel this way as they approach graduation. It is important to be eager, but the places that need your eagerness and drive are not just on the federal level; they are in your town. A place where you can make influence and make an impact is on the local level and local government can help you harness your eagerness to improve your communities. After all, we aren’t out of touch with the people. We represent the communities you are passionate about, and are the representatives of the people, places, and memories you hold dearly. Needless to say, the anxiety of the unknown is what should drive you. I felt the overwhelming urge of wanting to enter the political field after interning for a State Senator. I felt as though the work was most recognizable. In the fact that those hours I spent studying International Political Economy, US National Security Policy, and The Presidency, the skills I acquired while studying for these courses, best prepared me for the opportunity. The chance to make an impact. I can recall the first time Senator Doll gave me a task, I immediately isolated myself in the stacks of the Legislature. It was those moments that felt near and dear to me because 1) I was given a job that could be completed on more than just paper, 2) I was given the opportunity to showcase my findings to local government, and 3) it made complete sense in my life. At the end of the day, members of the Kansas State Legislature knew that I meant business. That same tenacity should be applied to the local level. ELGL members are actively seeking undergraduate and graduate students who possess the same passion for government. Recently, I moved to Boston to obtain a Master of Landscape Architecture degree. As I transition from a CNN/State of the Union with Jake Tapper-junkie to student of Fine Arts, I needed to know that my curriculum would still be people oriented. I needed to be certain that what I studied wasn’t for a piece of paper, but for the chance to be part of something bigger than myself. I just so happened to come across an organization of people who knew that change should be started on a local level. After all the avant-garde ideas you’ve had, none of them would be fulfilled without showing promise. The first promise you should make is to the ones closest to you. The ones closest to you are in the community that constantly need your passion to create change. They’re your home.